Wisdom Tooth Pain in Mona Vale? We Can Help! If you’re in pain due to your wisdom teeth, MV Ortho can help you. Wisdom teeth can be improperly aligned or impacted, resulting in discomfort, crowding and even infection. Whether you need a routine or complex extraction, we will create a treatment plan unique to your needs and get you out of pain. Not sure if you need your wisdom teeth removed? Call (02) 9979 7155 to book your FREE, no-obligation consultation. One of the many services we offer is dental surgeries, which can be completed in-house with Dr Alan Trinh. 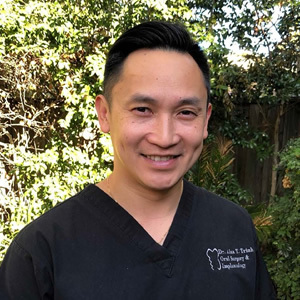 Dr Mun works with Dr Alan Trinh to remove the source of your pain and restore the full function of your teeth. Call (02) 9979 7155 to book and exam today! At MV Ortho, we believe that a great smile shouldn’t cost a fortune. This is why we offer free, no-obligation consultations. We will provide you with a no-fuss treatment plan with payment options – 100% interest free that you can afford. If you’re in pain, contact us to find out what options would be best for you. Call us at (02) 9979 7155 to book an appointment!